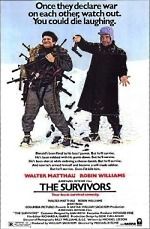 The Robin Williams of the '80s was a really funny guy. 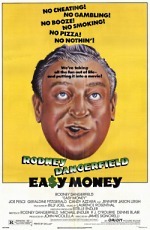 Being strung out on cocaine wasn't good for him, certainly, but it didn't hurt his comic timing. In fact, the whole manic thing kind of worked for him. 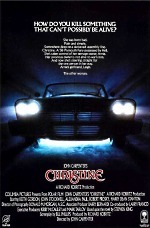 If you don't remember anything about the fourth film in the Dirty Harry series--and a lot of people don't--you probably remember that line. 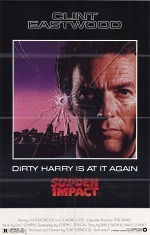 When Sudden Impact hit the theaters in '83, I had never seen a Dirty Harry film--it was my introduction to the series, and I loved every minute of it. Harry Callahan was a character that really resonated with me--taking down the bad guys without undue regard for procedure. Just a tough guy making San Francisco a safer place. I know now that Sudden Impact is not by any means the best of the series--both the original Dirty Harry and the second film, Magnum Force, are a lot better--but I'll always have a fondness for this one. Sudden Impact made me such a Dirty Harry fan that, when my parents took the family on a vacation to California in 1985, I dragged my family all over San Francisco to places that had been featured in the movies. (Let me tell you--if you want to see the seedy side of San Francisco, a Dirty Harry tour is definitely the way to go.) The tour culminated in a climb to the huge concrete cross in Mount Davidson Park. That was quite a hike. On that same trip, we visited The Hog's Breath Inn in Carmel which, at the time, was owned by Eastwood. I asked the waiter if Eastwood ever visited the restaurant and was told that he was expected later that evening. We couldn't stay, but I gave the waiter an addressed, stamped postcard and asked him to have Clint Eastwood sign it if he did show up. I never expected to see the postcard again--but the Tuesday after we got home, it arrived in the mail, autographed by Dirty Harry himself. Pretty awesome. Talk about making my day.